College students and graduates around the nation are buried in debt and trying to succeed in an extremely difficult and competitive economic environment. Many people are graduating only to find that they are unable to get the jobs they want either due to the small number of available positions or, more usually, the problem that they lack "experience" – and are thus reduced to working menial jobs while paying back exorbitant loans. So far very little legislation has been passed to aid students in paying back their loans, and many blame politicians. However, the situation goes deeper than this and lies, in part, with a little-known institution called the American Bankers Association. While it's obvious that the American Bankers Association works in the interest of bankers, the organization has an intriguing history regarding student loans and the way it has actively fought against the interests of students. Johnson saw this as a loss of human capital and, seeking a remedy, signed into law the Higher Education Opportunity Act of 1965. The law included many suggestions from the Gardner task force – such as the advice that government should aid students monetarily via grants and loans, as well as create special programs for college-aspiring low-income students. 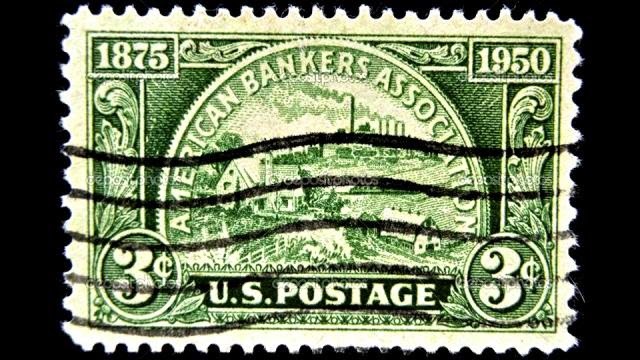 This, however, posed a major problem for the American Bankers Association. The organization worried about government encroachment on its business, specifically in the form of loans, arguing that “the federal government could not replicate the working relationships that locally-owned financial institutions had with state and private non-profit guarantee programs,” and warning that “the federal government would end up taking over the industry because there would be little incentive for the state and private non-profit agencies to establish their own programs.” To placate the bankers, the Johnson administration assured them the federal government would be the ultimate loan guarantor if no one else was available. And yet, a half century later, the ABA is still waging a quiet war on students by actively combating virtually any legislation that would ease their debt burden. With regards to students being able to rid themselves of college loans by declaring bankruptcy, the ABA stated in 2012 that, if allowed to go into effect, such an option “would tempt students to rack up big debt that they won't repay... [and that] the bankruptcy system would be opened to abuse.”The ABA's position is more than a little ironic: preemptively accusing students of engaging in irresponsible lending even as the banks themselves engaged in massive amounts of that exact activity by giving mortgages to people they knew could not repay. The assumption that students would borrow money and then declare bankruptcy is, in fact, ridiculous when considering the severe negative effects that would be incurred by filing bankruptcy – such as harming their credit and preventing them from obtaining new lines of credit, and even causing problems when they apply for jobs. 1. Your entire loan balance comes due in full, immediately. 2. Collection fees can be added to your outstanding balance. 3. Up to 15% of your paychecks can be taken. 4. Your Social Security, disability income and state and federal tax refunds can be seized. 5. You lose eligibility for federal aid, including Pell grants. 6. You lose deferment or forbearance options. 7. Outstanding fees and unpaid interest can be capitalized (added) onto your principal balance. While numbers 1, 2, 3, 4 and 7 mean horrible results for the borrower, they allow banks to retrieve their money back no matter the cost to individuals in the immediate aftermath or the future. So a young person's entire economic future has pretty much been destroyed through default? Well, that’s just the cost of doing business. In response, the ABA and other business and lobby groups, including the U.S. Chamber of Commerce, opposed financing the bill on the grounds that it would “make tax collection less enforceable than current law and do little to increase compliance.” In the end, Republicans, with some Democratic support, shut down the bill, and student loan rates have now doubled. While the ECASLA bailout enabled lenders to make even more money, the Congressional Budget Office estimated that the government would save over $68 billion over 10 years if it switched to direct lending; now, according to the report, that $68 billion will “subsidize private lenders like Sallie Mae to pay their executives exorbitant salaries and bonuses” – like Sallie Mae's Chairman Albert Lord, who raked in over $225 million during his tenure that ended at the company in 2013. Eliminating conflicts of interest and kickbacks between colleges and banks, as well as giving students control over their finances, clearly isn't something the ABA is prepared to see happen in Congress. And politicians, obviously, don't have students' backs. Which is why young people and families across America need to stand up, organize and take this fight square on against the banks and the legislators they control. This article was originally published on Occupy.com. Devon Douglas-Bowers is a 22 year old independent writer and researcher. He was a BA in Political Science and is the Politics/Government Department Chair of the Hampton Institute. He can be contacted at devondb[at]mail[dot]com.